This release contains a fix for those using it with IRacing on a 64bit machine. 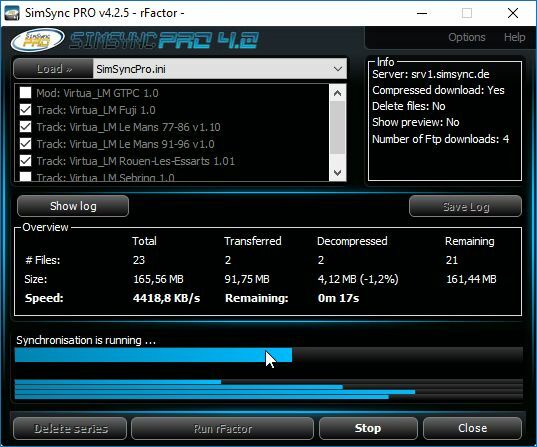 IRacing changed the name of some files on 64bit computers, where SimSync PRO was relying on. That rename resulted in a “This software must be installed in the root directory of the game!” error message.